Cornell Notes Pro Study Journal 250 pages with Personal Index: Notebook not Ebook for Cornell notes with purple cover – 8.5″x11″ ideal for studying, … a guide to effective studying and learning. 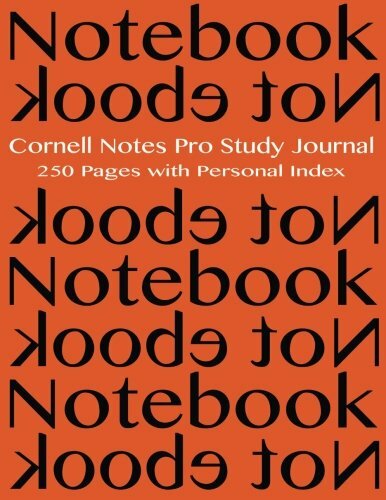 Cornell Notes Pro Study Journal 250 pages with Personal Index: Notebook not Ebook for Cornell notes with orange cover – 8.5″x11″ ideal for studying, … a guide to effective studying and learning. Cornell Notes Pro Study Journal 250 pages with Personal Index: Notebook not Ebook for Cornell notes with pink cover – 8.5″x11″ ideal for studying, … a guide to effective studying and learning. 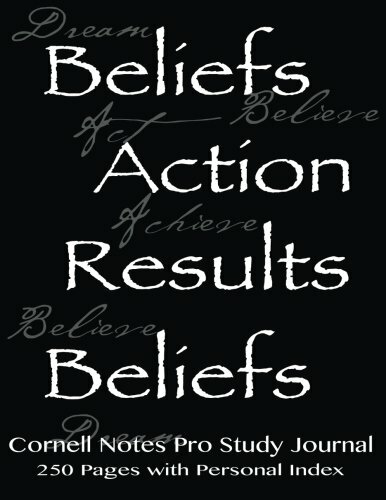 Cornell Notes Pro Study Journal 250 pages with Personal Index: Beliefs, Action, Results, Beliefs notebook for Cornell notes with black cover – … a guide to effective studying and learning. Cornell Notes Pro Study Journal 250 pages with Personal Index: Notebook not Ebook for Cornell notes with bright green cover – 8.5″x11″ ideal for … a guide to effective studying and learning. 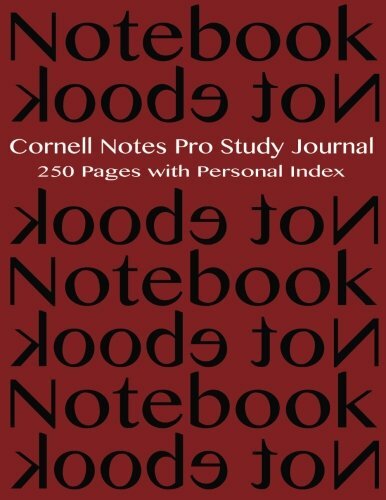 Cornell Notes Pro Study Journal 250 pages with Personal Index: Notebook not Ebook for Cornell notes with burgundy cover – 8.5″x11″ ideal for studying, … a guide to effective studying and learning. Cornell Notes Pro Study Journal 250 pages with Personal Index: Notebook not Ebook for Cornell notes with yellow cover – 8.5″x11″ ideal for studying, … a guide to effective studying and learning. Cornell Notes Pro Study Journal 250 pages with Personal Index: Notebook not Ebook for Cornell notes with red cover – 8.5″x11″ ideal for studying, … a guide to effective studying and learning. 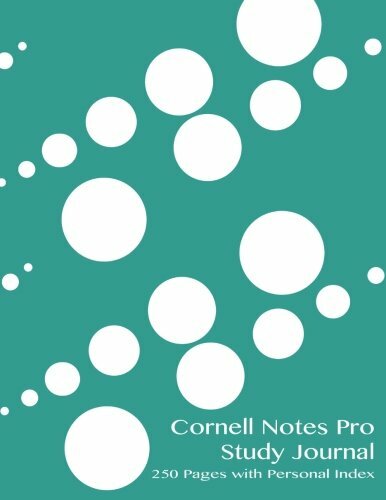 Cornell Notes Pro Study Journal 250 pages with Personal Index: Dewdrops notebook for Cornell notes with turquoise cover – 8.5″x11″ ideal for studying, … a guide to effective studying and learning. Cornell Notes Pro Study Journal 250 pages with Personal Index: Notebook not Ebook for Cornell notes with gray cover – 8.5″x11″ ideal for studying, … a guide to effective studying and learning. Cornell Notes Pro Study Journal 250 pages with Personal Index: Notebook not Ebook for Cornell notes with blue cover – 8.5″x11″ ideal for studying, … a guide to effective studying and learning. Cornell Notes Pro Study Journal 250 pages with Personal Index: Notebook not Ebook for Cornell notes with green cover – 8.5″x11″ ideal for studying, … a guide to effective studying and learning. 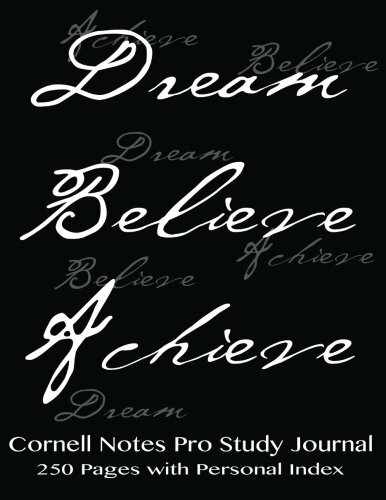 Cornell Notes Pro Study Journal 250 pages with Personal Index: Dream, Believe, Achieve notebook for Cornell notes with black cover – 8.5″x11″ ideal … a guide to effective studying and learning. 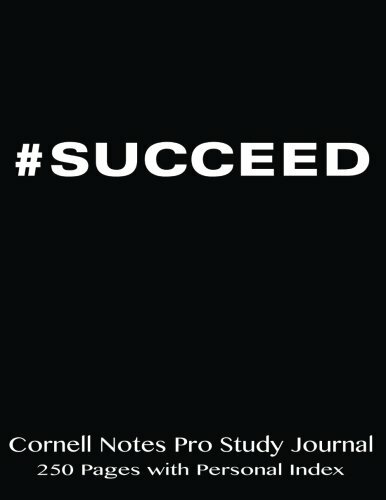 Cornell Notes Pro Study Journal 250 pages with Personal Index: #Succeed notebook for Cornell notes with black cover – 8.5″x11″ ideal for studying, … a guide to effective studying and learning.